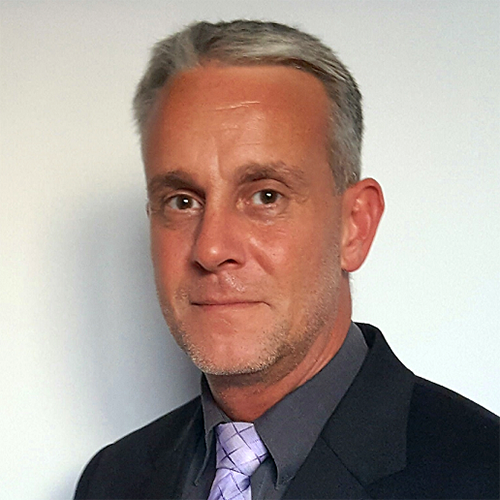 Marc Weber is Controller at Concentrix Management Holding, a service provider in the customer care industry and in the area of customer relationship management. Marc Weber studied chemistry at the Westfälische Wilhems Universität in Münster. After his study he worked as team leader with the main focus on workforce management and operative reporting for the Concentrix Management Holding. After his change in the position of the site controller he was responsible for the operative controlling of the sites in Schwerin and Wismar. Since his promotion in the central controlling department in 2013, Mr. Weber is responsible as Controller Operations for the operative controlling of all German Concentrix locations. In total he has over 10 years of broad experience within the scope of controlling, systems of key performance indicators, reporting, corporate planning, workforce management, and training of employees in controlling, excel and reporting. 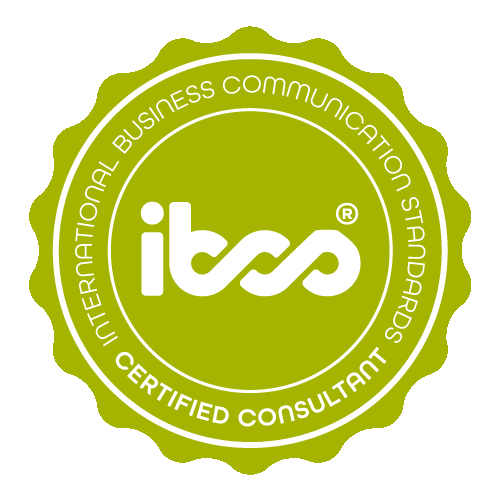 Marc Weber has successfully completed the IBCS® certification for successful design of reports and presentations at the HICHERT+FAISST IBCS Institute in April 2016. Sales divergence/yield divergence An example of a report with sales divergence and yield divergence of one year. 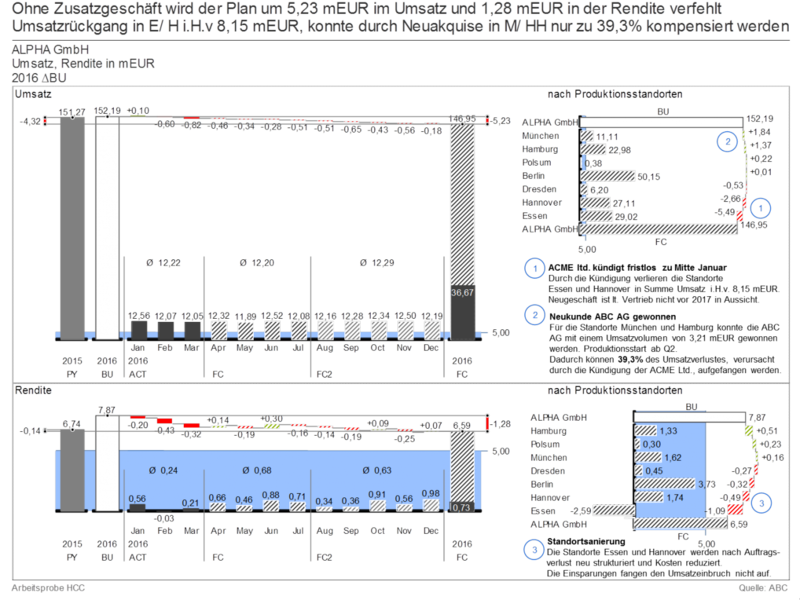 Beside the information in which months the sales-/yield divergence exists, the receiver gets additional information about the in which location the misdemeanors occur. 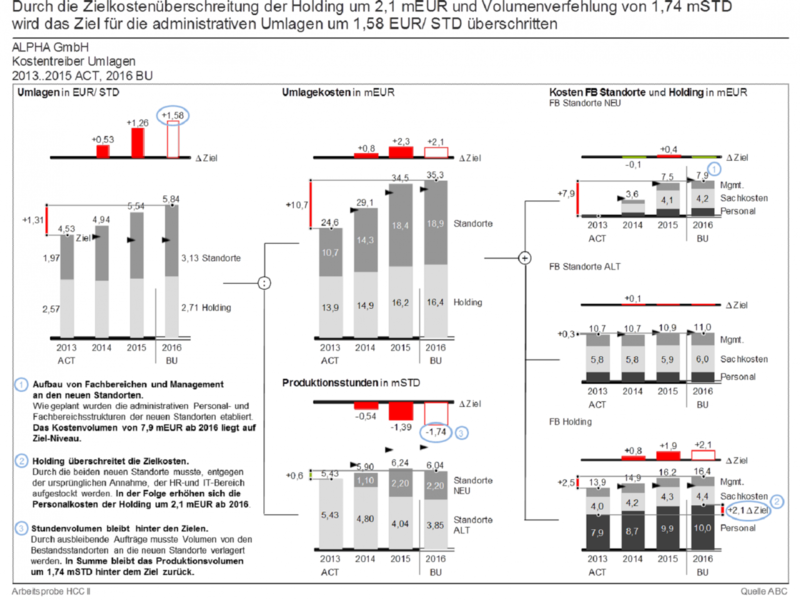 Share of cost analysis An example of a report slide on which the divergences of the share of cost per year is compared to an aim from 2013. The contribution from the amount divergence is shown as well as the contribution from the cost misdemeanor in this example. Concentrix is service provider in the customer care industry and in the area of customer relationship management (CRM).